Grosse Ile, MI Real Estate Brokerage - Your #1 Resource for Southeast Michigan Real Estate! 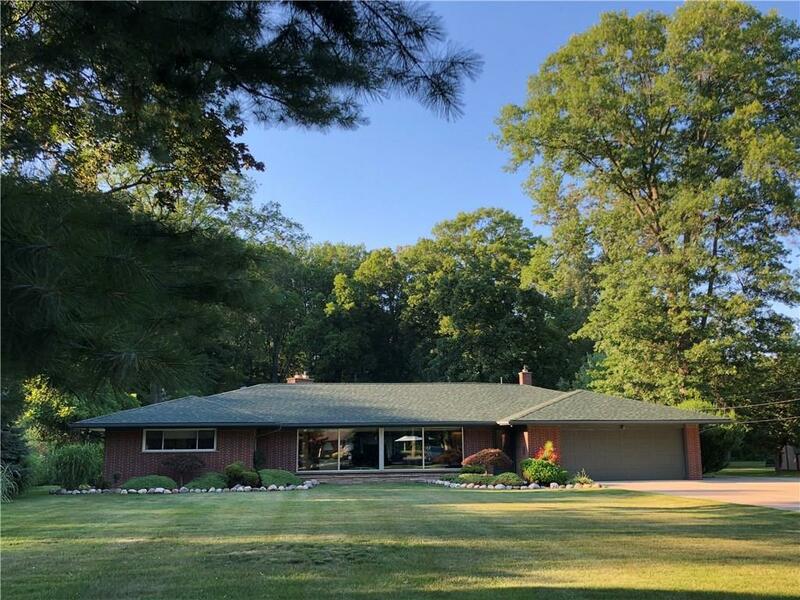 CUSTOM MID CENTURY MODERN RANCH on a private, wooded, 2.5 acre lot. Rear half heavily wooded with many large oak and hickory trees. Property backs up to OPEN SPACE w/ walking trail through acres of woods. 3 Large BR's have expansive windows for breathtaking views and ventilation. 3 Full ceramic tiled baths. Great Room is 900 sq ft with full glass walls front & back. Natural stone fp w/ raised hearth-air tight wood stove insert w/ glass doors-heats entire house in 0 degree weather. Kitchen feataures SS appliances, granite counters & back splash, dining area & breakfast nook. Many updates include windows, 12+inches insulation above ceiling=lower than average utility bills. Expand your living/dining space outside to large patio/entertainment area w/ built in fire pit. New 30 year roof in 2016. Lots of wildlife to view including deer, fox, squirrels, hawks and numerous song birds incl Baltimore Orioles. Up to two horses are permitted by ordinance. IDX provided courtesy of Realcomp II Ltd., via MBA REALTY GROUP INC and Realcomp Ii Ltd, Copyright 2019 Realcomp II Ltd. Shareholders. Real Estate listings other than those of MBA REALTY GROUP INC are marked with the Broker Reciprocity logo and detailed information about them includes the name of the listing brokers. Information deemed to be reliable but not guaranteed. Any use of search facilities of data on the site, other than by a consumer looking to purchase real estate, is prohibited. Last updated on 2019-04-23.